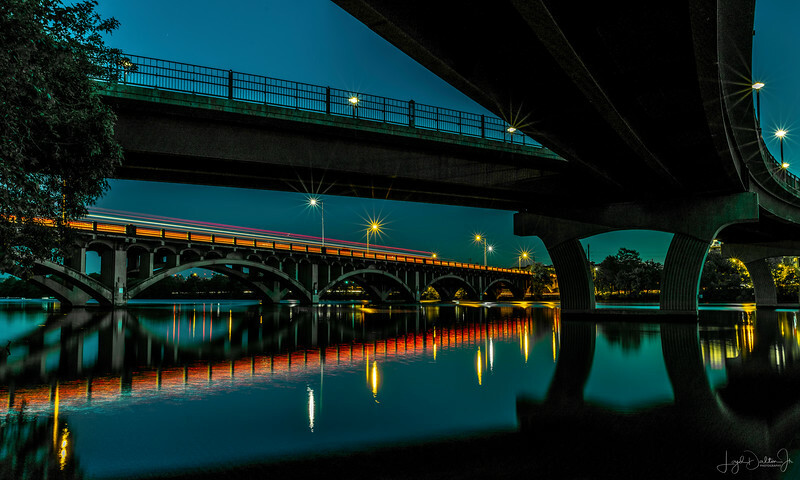 Another reflection image of the Lamar Street Bridge in Austin. The long exposure before daylight caught the reflection of the red tail lights on Lady Bird Lake of the cars crossing the bridge. You outdid yourself on this one Loyd, great shot. Wow! This is spectacular. Such an amazing shot! Beautiful light and color, and excellent POV. Did I say WOW? Wonderful late exposure. Super light, colour and reflections. Super image, so well composed and captured! Outstanding pp on this to provide those striking colors and sunbursts...great pov and comp!